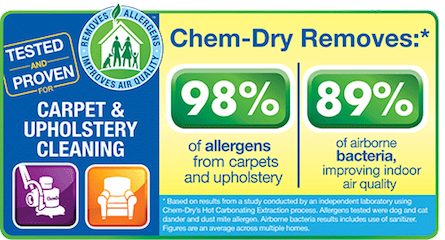 Johnson County Chem-Dry proudly serves our community every day by helping our customers maintain a clean, healthy, happy home. Our proprietary process combined with our non-toxic, green-certified solution means that we'll leave your home not only cleaner but safer and healthier, too. Our professionally-trained technicians here at Johnson County Chem-Dry are dedicated to providing an outstanding cleaning experience and will treat your home and family with the respect you deserve. We are your local Pet Urine Removal Experts! We eliminate 99.9% of odors and 99.2% of bacteria from Pet Deposits, leaving your carpets fresh and healthy! We also provide Tile and Stone Cleaning and Sealing, as well as, Area Rug Cleaning, Upholstery Cleaning, Mattress Cleaning, Granite Countertop Cleaning and Renewal. Johnson County Chem-Dry is Locally owned and operated in Johnson County, Tx, and has provided carpet cleaning services for over 25 years. 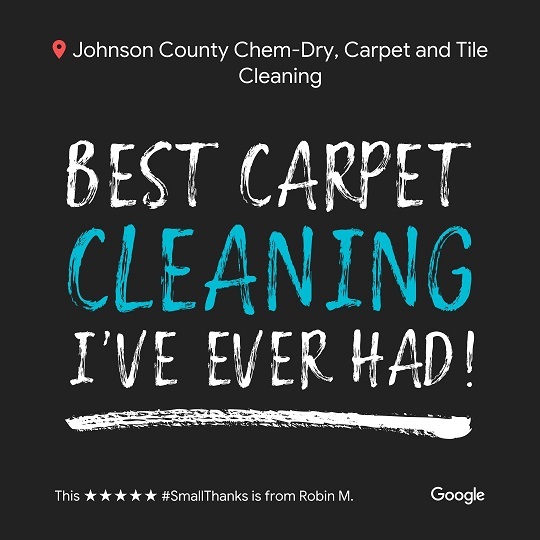 Absolutely the best carpet cleaner in Johnson County! We have been doing business with Johnson County Chem-Dry for over 15 years and we have never had a complaint. She always brings a smile with her and a few treats for the dogs. What a pleasure! Johnson County ChemDry took three of my rugs back to their shop early last week. They delivered them today and I couldn't believe how clean they are. My rugs smell great. They look great. What a high quality service. Highly recommend. We had Johnson County Chemdry clean the carpets at our new house in Alvarado. They did an absolutely amazing job. The carpets look brand new and they smell wonderful. Pet odors can linger on for months if not treated properly. As urine dries in the carpet and padding, it crystallizes, leaving behind millions of concentrated urine crystals that off-gas and become even more pungent. Many companies just mask this odor. Chem-Dry uses a patented system, P.U.R.T.® (Pet Urine Removal Treatment) to explode the urine crystals and break down the enzymes, eliminating the pet urine odor forever. 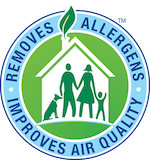 Industry experts suggest that homeowners clean their carpets every 3-6 months especially homes with kids, pets or if someone in your home has asthmas or allergies. Regular cleaning will not only improve your home’s appearance, but it will eliminate germs and allergens, improve your home’s indoor air quality and extend the life of your carpet. We use our proprietary hot carbonating extraction cleaning method, featuring our core cleaner The Natural, when cleaning upholstery as well. The carbonated cleaning bubbles release dirt, soil, airborne allergens and spots from the upholstery fibers. Then, we use our powerful extraction equipment to remove the cleaning solution, dirt, soil and airborne contaminants from your furniture, leaving it with a deeper, healthier clean than other alternatives. No, Chem-Dry is not a steam cleaner. Chem-Dry uses carbonation to lift up dirt and grime from your carpets so we do not need to use the gallons of water that typical steam cleaners use. Overall, we use about 80% less water than a typical steam cleaner, but with superior results. This allows for much faster dry times, typically around 1 to 2 hours. Most new carpets come with a factory-applied protectant but this wears off over time. Reapplying a protectant on your carpets can help resist stains and soiling, so your carpets will stay cleaner longer. Another reason protectant is a smart investment is that it slows the aging and wearing process and can extend the life of your carpets. Our protectant is co-applied with our cleaning solution to ensure full coverage of each carpet fiber, creating a superior protection in comparison to post cleaning spray on applications. Our room/area sizes are based on 200 sq ft. If any of your rooms are over 200 sq ft, there may be an additional area charge.